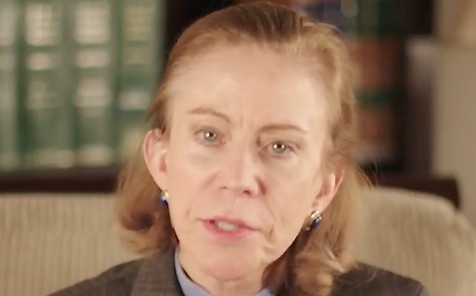 Kathleen Hartnett White appeared in a 2015 YouTube video, extolling the “benefits of CO2.” In contrast, leading scientific bodies in the United States and around the world say emissions of CO2 (carbon dioxide) from human sources are harmfully disrupting Earth’s climate. WASHINGTON – The appointment of Texan Kathleen Hartnett White to a top White House environmental post is still a suspense story. White, a former chairman of the Texas Commission on Environmental Quality, was nominated by President Donald Trump to head the White House Council on Environmental Quality. That panel coordinates multiagency actions and oversees studies of the environmental impact of federal actions. A year into the Trump administration, the job is still vacant. Trump nominated White Oct. 16. Environmentalists opposed her. After a stormy hearing, the Senate Environment Committee approved her on an 11-10 party-line vote Nov. 29. The nomination was not taken up on the Senate floor in 2017. Under an obscure Senate rule, nominations not acted on in the first calendar year must be resubmitted for consideration during the second year of a Congressional session. That rule is often waived, but Senate Democrats opposing White objected to a waiver for White. Trump renominated White Jan. 8, 2018, and the committee had taken no further action as of Wednesday, Jan. 24. There is currently no reason to think any votes have changed on the committee — but the full Senate is another matter. After a special election in Alabama, the Democrats reduced the GOP’s Senate margin by one vote in 2018, to 51-49. That means White’s opponents only have to carve out two Republican votes to block her. Among GOP Senators to watch are Lamar Alexander of Tennessee, Susan Collins of Maine, and Lisa Murkowski of Alaska.